We could grow enough to cover ten percent of our transportation fuel demand. The United States Department of Energy (DOE) is going blue, investing in what could be a biofuel alternative to fossil fuels. The department’s Advanced Research Projects Agency-Energy (ARPA-E) is funding two technologies that will attempt to make large scale production and cultivation of macroalgae—the technical term for seaweed—possible. The macroalgae will then be converted into biofuel and bio-based chemicals. The two projects are funded under the cleverly-acronymized Macroalgae Research Inspiring Novel Energy Resources (MARINER) program. According to ARPA-E Acting Director Eric Rohlfing, the US has the potential to produce enough biofuel from macroalgae to supply ten percent of the country’s annual transportation energy needs. 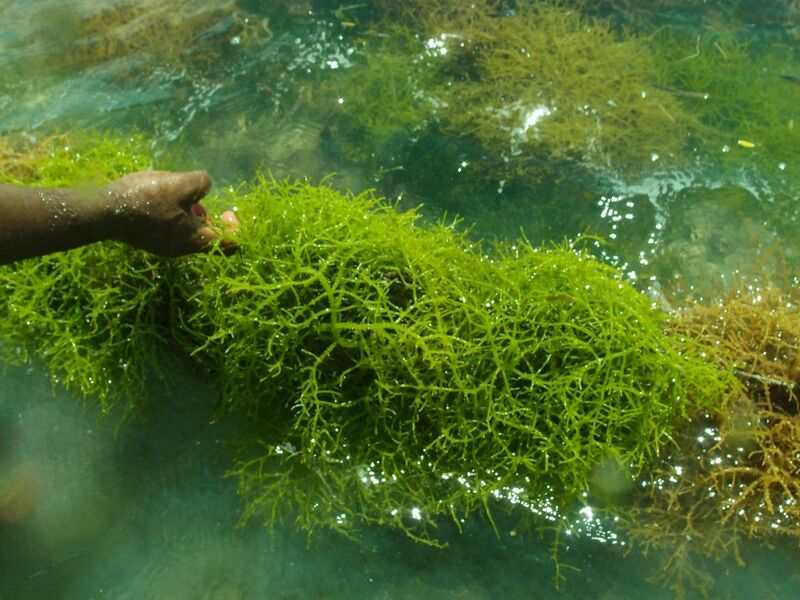 Current cultivation of macroalgae is limited to use in human consumption. With the proper technology and supporting infrastructure, we could have a viable renewable, biological source of clean energy that doesn’t rely on environmentally harmful items like synthetic fertilizers, or the use of vast areas of land and large amounts of fresh water—all of which go into producing corn, the primary source of biofuel in the US. Each project has been awarded $500,000 to carry out their research. The first, from the University of Alaska Fairbanks, is developing “replicable scale model farms capable of the cost effective production of sugar kelp, a type of seaweed,” according to the DOE. The second group is from the University of Southern Mississippi and is working on “a semi-autonomous enclosure to contain fields of free-floating Sargassum mats. Wave-powered tugs, operated remotely onshore by a single person, will move the enclosure to ensure maximum exposure to nutrients.” Both are early efforts to build the infrastructure necessary to make this goal possible. To help learn how to maximize growing potential, a team from the Pacific Northwest National Laboratory will additionally be given more than $2 million, over the course of two years, to develop models to predict the best locations and times to farm seaweed. Biofuels are usually made of hydrocarbons, just like oil and gas, but they can come closer to being carbon neutral by taking up carbon dioxide while they grow. Seaweed, in particular, grows faster than land-based plants, and sequesters significant amounts of CO2 as it does. The march toward a majority of carbon-neutral vehicles on our roads is a slow one, and the vast infrastructure upgrade needed to make this viable is a major undertaking. Perhaps seaweed cultivation can help to mitigate the current impact of fossil fuel powered cars in a cheap, easy, and environmentally friendly manner.